Professional carpet cleaning with steam is the most effective way to remove dirt and odors from your carpet. 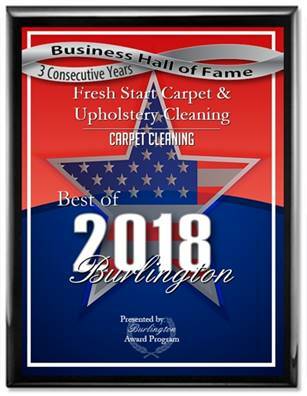 Fresh Start Carpet Cleaning deep cleans carpet starting with a post agitation rake treatment which brings all debris that are deeply embedded in your carpet to the surface. After this step we begin the steam extraction process. Our steam extraction method removes some of the toughest pet urine odors and pet stains from your carpet. Our quick drying process ensures fast drying within 4-5 hours.